Its been a while since I last did a book post…a year in fact, so quite overdue. There’s a long weekend coming up here in Hong Kong, and usually there is nothing I love more than to get stuck into a great book. This weekend however, we have great friends arriving from Melbourne, so the reading list will have to wait. Here are a few that are on my wishlist at the moment, some old, some new. If any of you have read them, I’d love to hear what you thought. 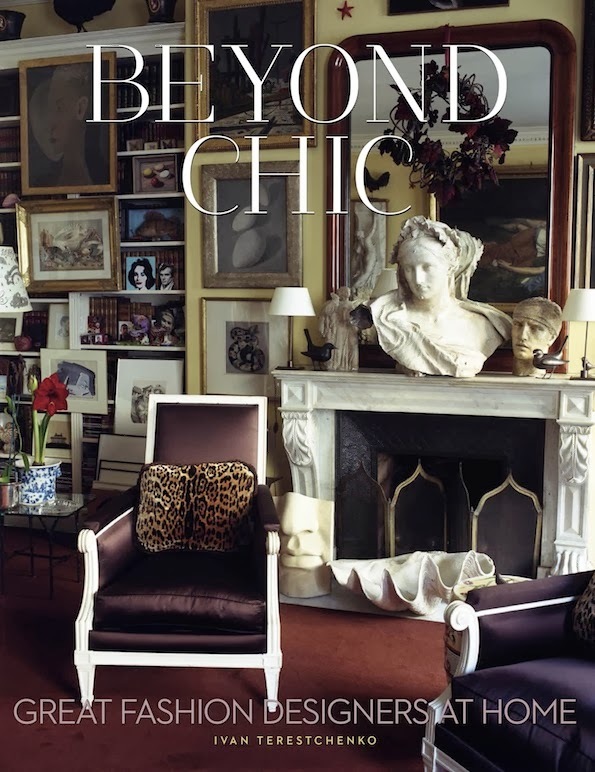 “Beyond Chic: Great fashion designers at home” by Ivan Tereschenko – There seem to be quite a few of these style compendiums out there at the moment, but this is one that looks quite appealing to me. 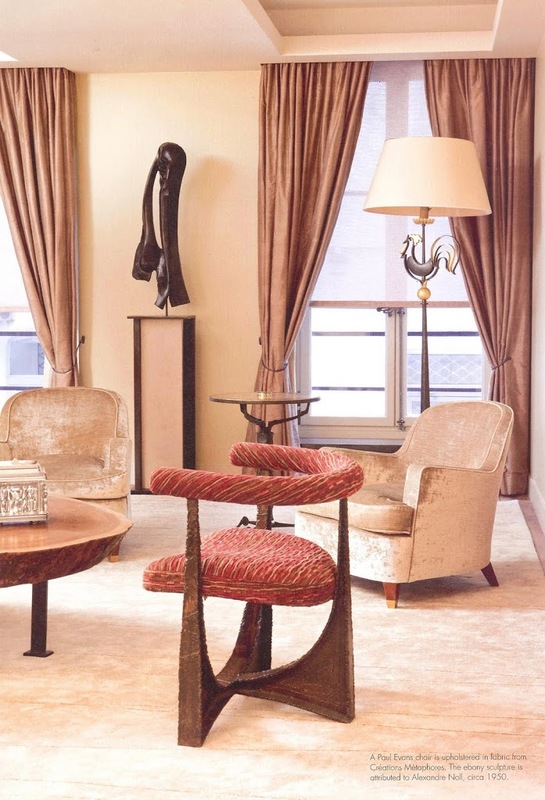 A voyeuristic view into the homes of the world’s greatest fashion designers, including Chanel, Alaïa, Yves Saint Laurent, Pucci, Kenzo, and Missoni. It looks like a visual feast. Francois Hallard is one of the greatest interior photographers working today, so this self titled publication looks to be a book that I would refer back to time and again. “Aero: Beginning to Now” by Thomas O’Brien – I have been a fan of Thomas O’Brien for as long as I can remember, and loved his first book. 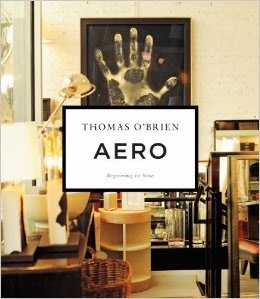 O’Brien’s second book is a retrospective of 20 years at the helm of the famed Aero studio and NYC store. Looks like another great reference book. 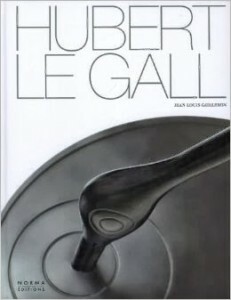 “Hubert le Gall” by Jean-Louis Gaillemin, published by arguably one of the best publishing houses in the world, Norma Editions (in my humble opinion, anyway). 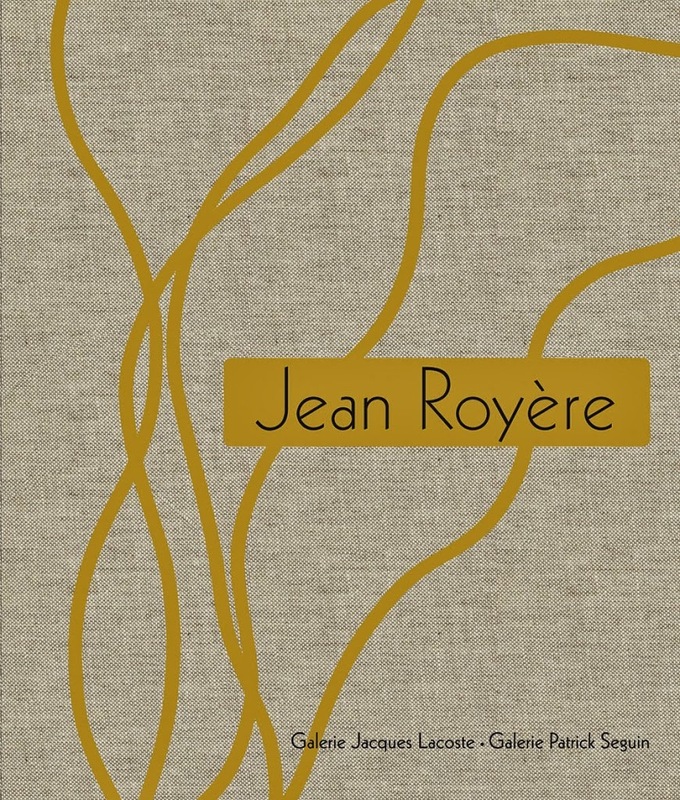 This monograph is dedicated to the work of one of France’s most eccentric and unclassifiable artist designers, who also happens to be a great favorite of mine. I cannot wait to get my hands on a copy. 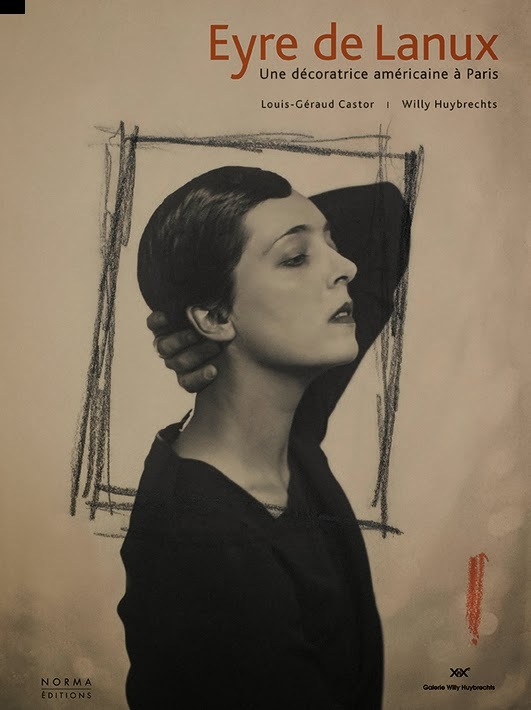 “Eyre de Lanux: An American designer in Paris” by Louis-Géraud Castor in collaboration with gallerist Willy Huybrechts – Another new edition by Norma, a monograph on little known Paris-based American designer Eyre de Lanux. 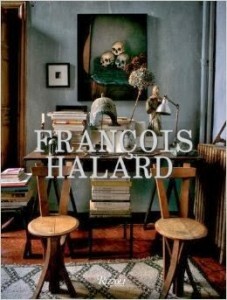 The life of a well to do Pennsylvania girl who marries a French diplomat and mixes with the likes of Cocteau, Picasso, Matisse, Joyce, Stein and Man Ray, and then goes on to create beautiful furniture sounds eminently fascinating. And plus, anything published by Norma is bound to be beautiful. 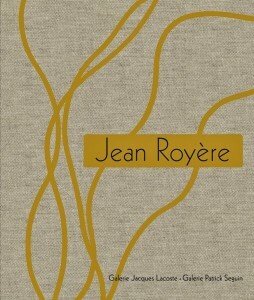 “Jean Royère” published by Galerie Jacques Lacoste and Galerie Patrick Seguin. 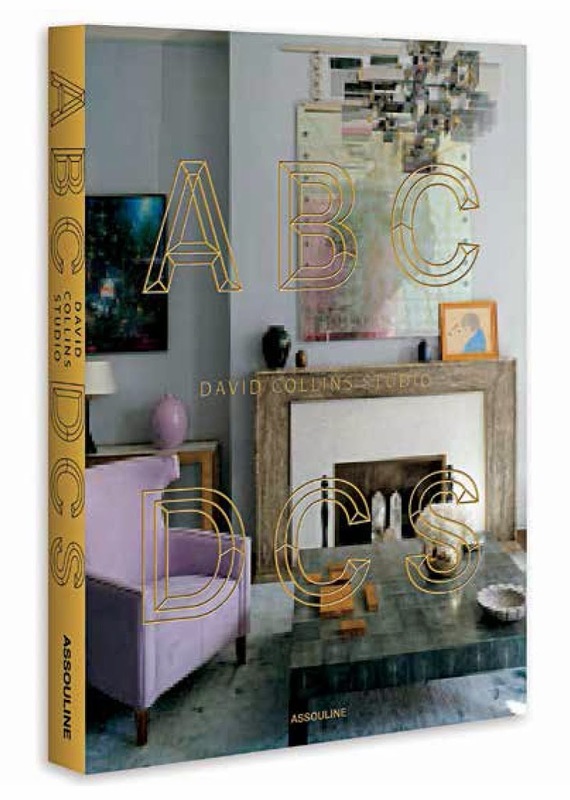 I do already have a monograph on this wonderful designer, but according to the publisher “This authoritative and sumptuous publication is the last word on this mid-century master”. Say no more, I’m sold. 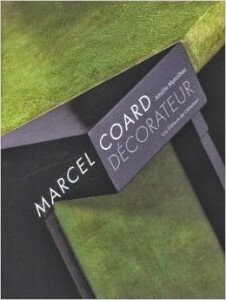 “Marcel Coard, Décoraeur” by Amelie Marcilhac, published by another great French publishing house: Les Editions de l’amateur. The publisher says “An exquisite monograph on a lesser-known French interior designer whose work is characterized by an elegance and a tasteful application of material”. 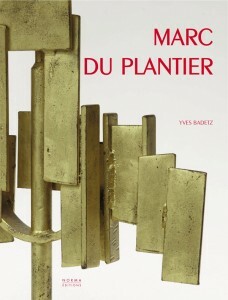 I am dying to add this to my collection of 20th century French design books. 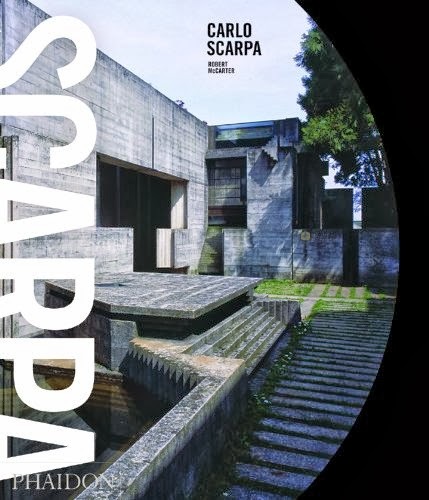 “Carlo Scarpa” by Robert McCarter from Phaidon. 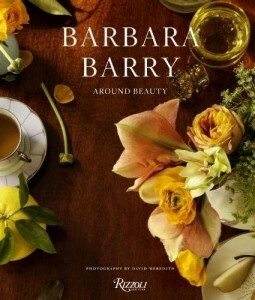 I’m so excited to pick up a copy of this, and feel like the release is somewhat serendipitous for me. I had an epiphany a few weeks back when I sort of discovered Scarpa’s work. 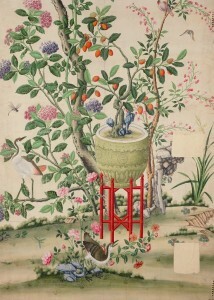 I had seen plenty of images over the years, and then only put all of the pieces together of the puzzle. I’m looking forward to pouring through all the wonderful images in one sitting. 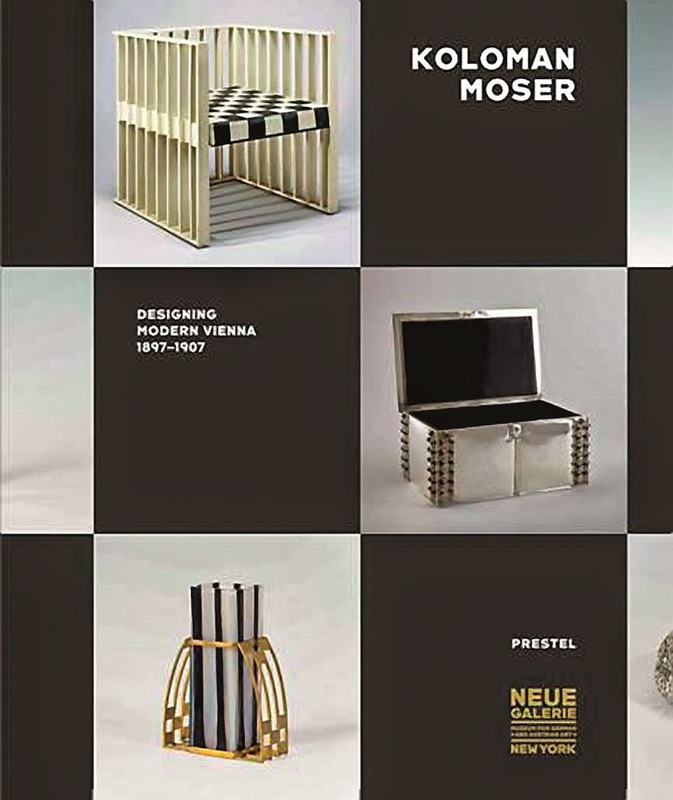 “Koloman Moser: Designing modern Vienna, 1897-1907” by Christian Witt-Dorring, Angela Volker, Janis Staggs and Ernst Ploil, published Prestel in collaboration with the Neue Galerie in NYC. 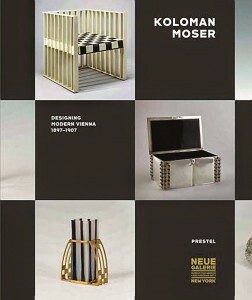 One of the most influential figures in European 20th century design, Moser was incredibly prolific despite his relatively short career. He created some of the most incredibly elegant and modern furniture I’ve ever seen, and I can’t wait to get myself a copy. 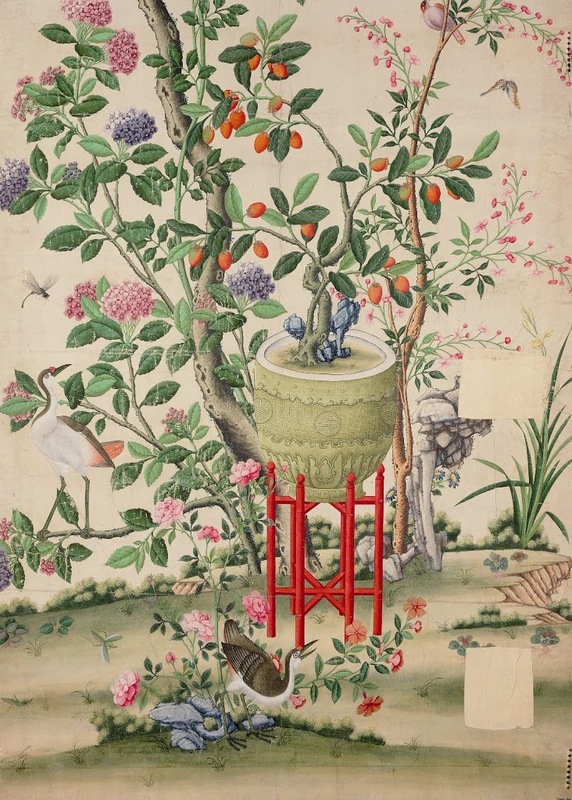 “The Emperor’s Private Paradise: Treasures from the Forbidden City” by Nancy Berliner – I was fortunate enough to see some of the pieces in this book on display at the Hong Kong Museum of Art a while back. 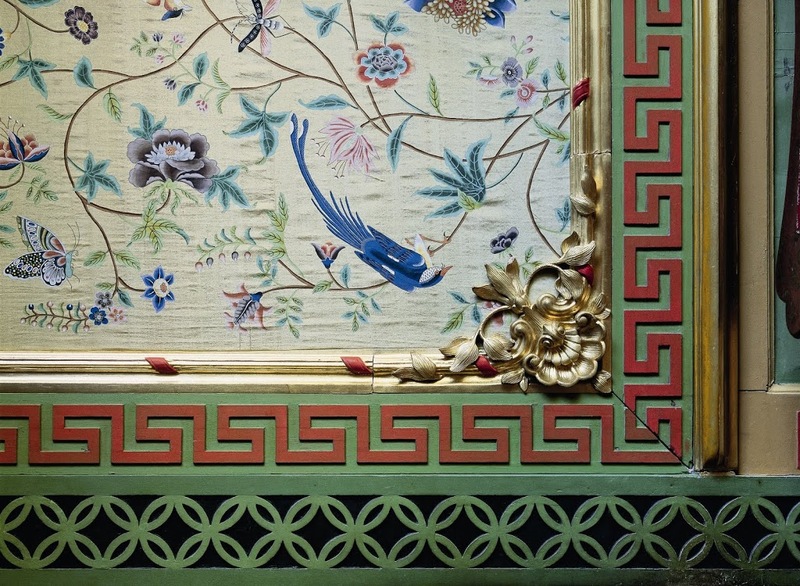 The screens (a detail of which is seen on the cover) captured my imagination, and the colours (which may not really be done justice in print) were ethereal and pearlescent. I would love a copy of this as a reminder and a souvenir. “Why we build” by Rowan Moore – just as the title suggests, this book is about architecture, and the motivations behind building. 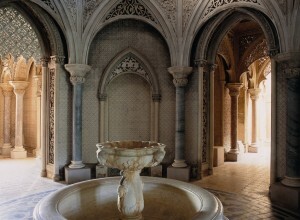 What inspires great architecture, and how buildings can change and affect our lives. 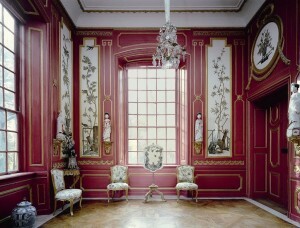 Moore is a trained architect, now working as an architecture critic for the Obserever in London. “The Global Soul: Jet Lag, Shopping Malls, and the Search for Home” by Pico Iyer. 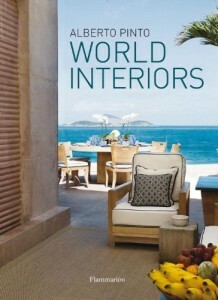 I promptly put this on my wishlist after I saw Iyer’s TED talk entitled Where is home? (if you haven’t, here is the link). Having lived outside of Australia for the past 10 years, in two different countries, with friends of many different nationalities, and their children with more complicated identities, this talk really touched home for me. 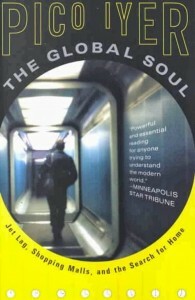 I highly recommend it for anyone that is or has been an Expat, or is mixed-race, or has children that are mixed race. Its really illuminating, and nice to know you’re not alone. I have a feeling the book will be just as illuminating. 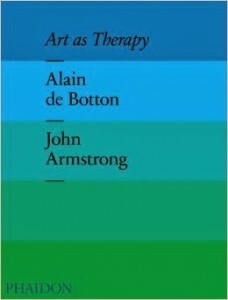 “Art as therapy” by Alain de Botton and John Armstrong – is the latest from everyone’s favorite philosopher. “What is art’s purpose? 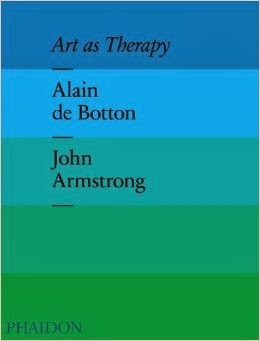 In this engaging, lively, and controversial new book, bestselling philosopher Alain de Botton and art historian / philosopher John Armstrong propose a new way of looking at familiar masterpieces, suggesting that they can be useful, relevant, and – above all else – therapeutic for their viewers”. Sounds like just what I need on my bed side table right now! “Behind the scenes: Stories from the design industry” by Hanna Nova Beatrice – “Behind the Scenes gives you an inside look at today’s design industry – the challenges it faces, the commercial undercurrents that shape and define it and a glimpse of those in power” says the publisher. I absolutely loved reading “Seven Days in the Art World”, so if this is anything like that then it sounds like a real treat. 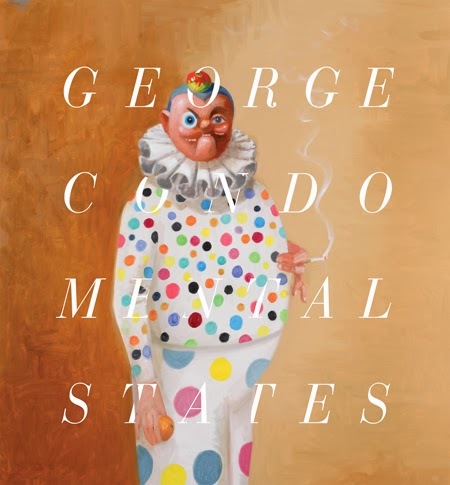 And last, but not least, “George Condo, Mental States” by Ralph Rugoff, Laura Hoptman, Will Self and George Condo. 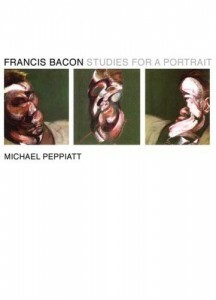 I picked up a copy of this at the Art Fair last year and am so glad I did. A great retrospective of the work of a fascinating artist, who lives a fascinating life. Anyone have any other recommendations for me? 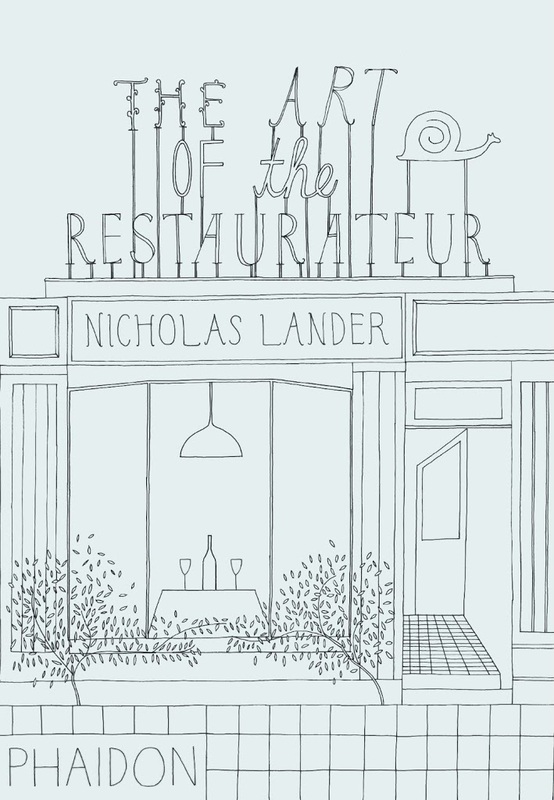 First of all, “The Art of the Restaurateur” (note the lack of ‘n’ in the word), by Nicholas Lander, the food critic at the Financial Times, and former restaurateur. I had the fortune of meeting the author yesterday at a book signing and general discussion at Kelly + Walsh in Pacific Place. 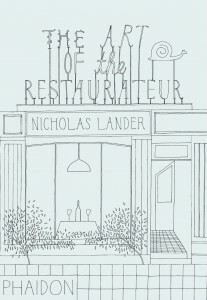 Lander’s book acknowledges that we live in the age of the celebrity chef, but aims to extol the virtues of the restaurateur, a person who is also sometimes the chef, but is often the person behind the chef running the show, and often the visionary who thinks of the concepts for their establishment/s. 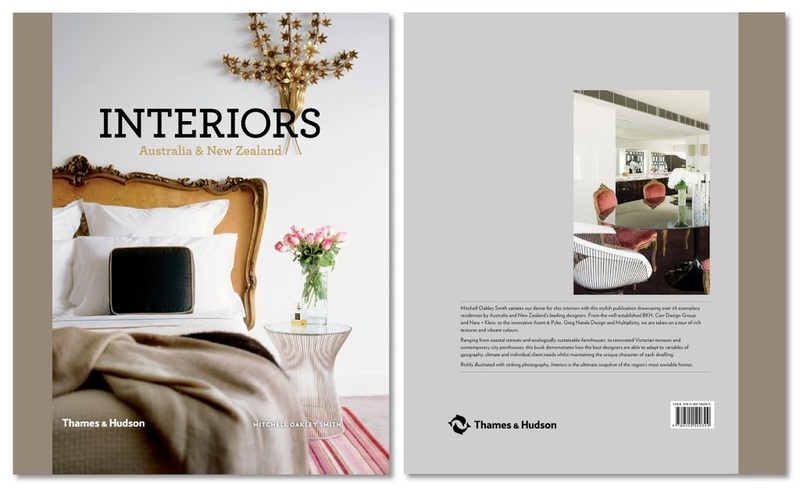 A fascinating read for anyone involved in the food industry, and particularly illuminating for interior designers involved in the hospitality industry…especially the chapter on Adam Tihany. 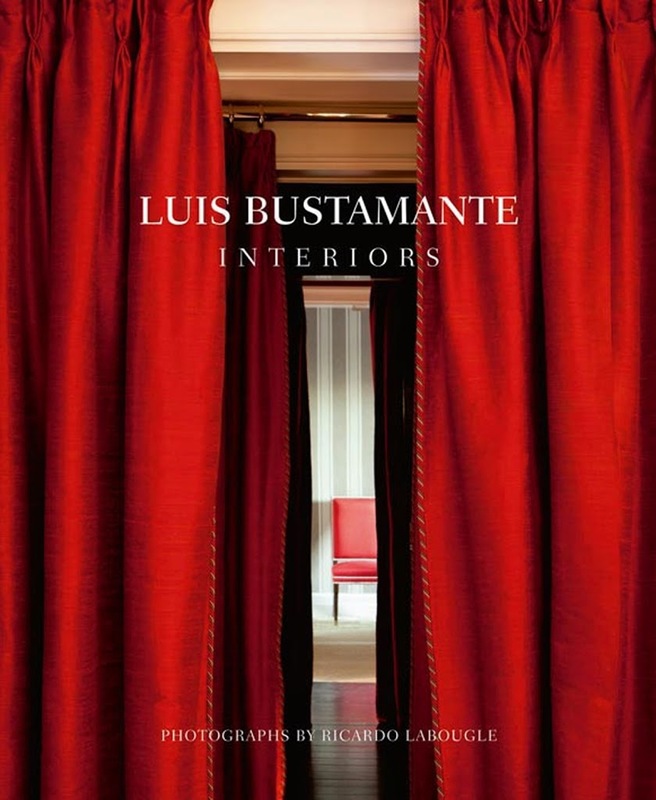 I blogged about Spanish interior designer Luis Bustamante earlier this year here, and was lamenting that his book was only to be found in Spanish and not available to those of us outside of Europe. 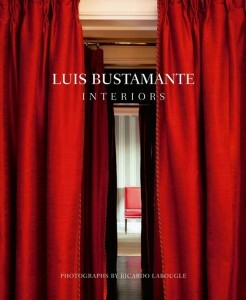 Well, I’m happy to say I found myself an English copy at Potterton Books at their stand at Maison + Objet. The books is just as stunning as I thought, and I’m sure it will be a reference that I will turn to for inspiration time and time again. 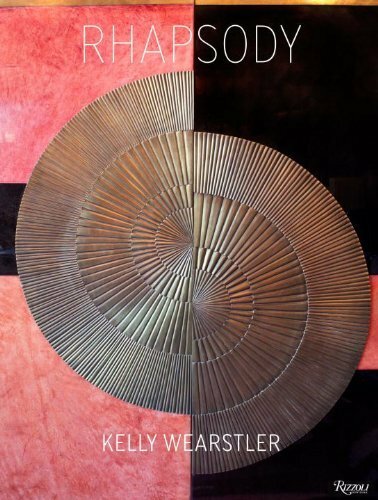 And finally, this isn’t one I’ve read, but one I’ve been looking forward to after I managed a sneak preview of a pre-release copy….Kelly Wearstler’s new book “Rhapsody”. 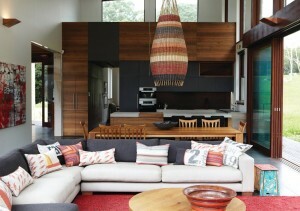 I have to say I think I enjoy her more recent work than what she was creating when she first came to the limelight. And regardless of whether you liked her work then, or now, or never have at all, she desserves praise for being constantly interesting and forever changing. I can’t wait to flick through these pages at a more leisurely pace. This has to be one of the most overdue books in the design world….surely. 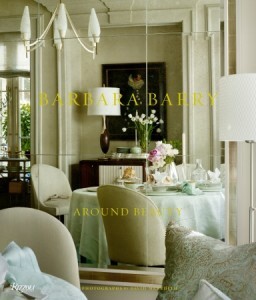 Barbara Barry was one of my first style icons and one one of the most influential informers of my own aesthetic. My own style and taste has changed, expanded, morphed and developed, while Barbara Barry has stayed true to her singular vision. And this is partly why she still remains to be an inspiration. 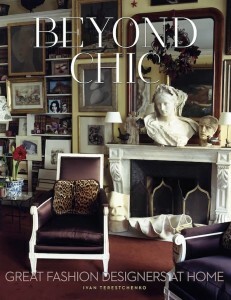 To say I’m excited about this new release by Rizzoli is a bit of an understatement. Seems there are a few cover options…the first is from Rizzoli’s website, the second from Amazon. I think I prefer the first one. You? I’m not sure why it took me so long to come across this book, but I’m glad I finally have a copy. 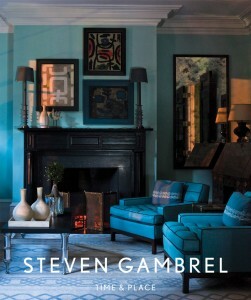 “Dealers Choice” (released in May this year), with a foreword by Michael Bruno of 1stDibs.com, is a stunning compendium of the homes of some of the worlds greatest dealers of furniture and design. There are so many well known names amongst the list, but its the home of Parisienne, Mary Jourdan, in particular that has caught my eye. 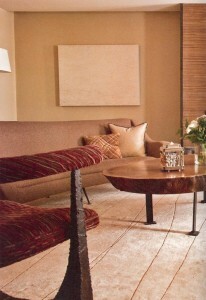 The monochromatic palette may not be to everyone’s taste, but I love the quiet sophistication of it. 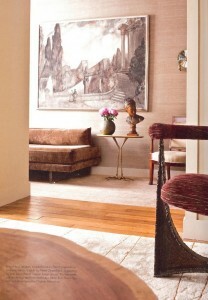 This is but a taste of her apartment, let alone the entire book, so if you like what you see I highly recommend it. 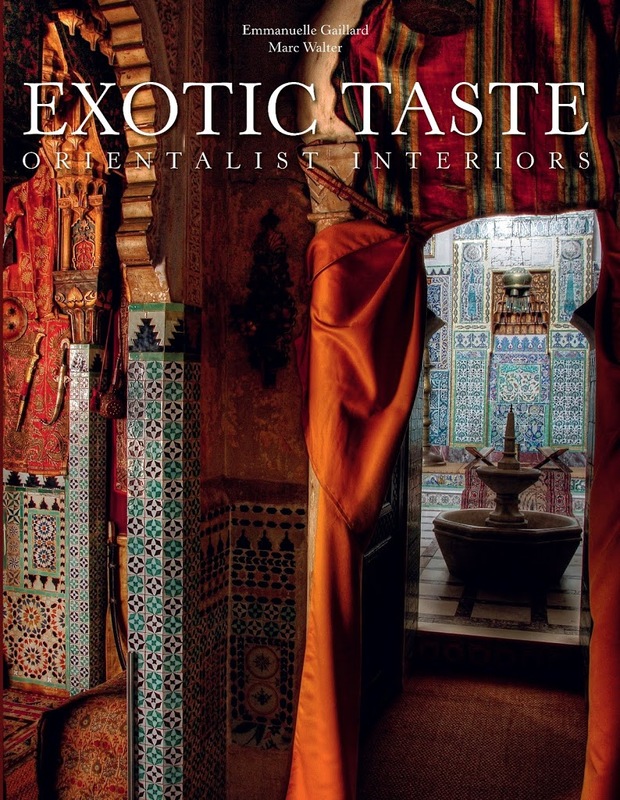 “Exotic Taste: Orientalist Interiors” by Emmanuelle Gaillard with photography by Marc Walter is a must for the library of anyone interested in orientalism, chinoiserie, and all things exotic. This subject matter is a little close to my heart having lived in Asia for almost 9 years, and my recent trip to India that still occupies my thoughts. 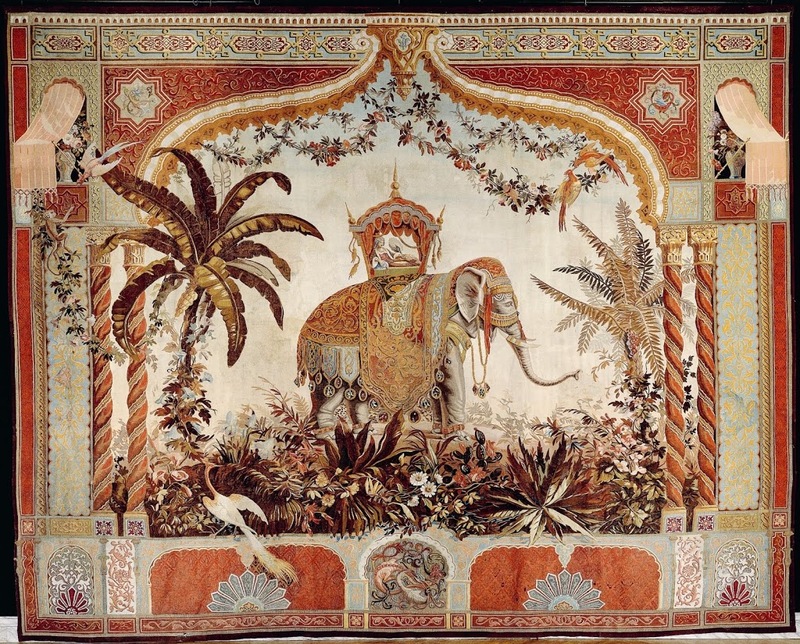 Starting with the arts of China and Japan, moving to the magnificence of India and then on to the splendour of the Near East, “Exotic Taste” beautifully illustrates the arts of each region. 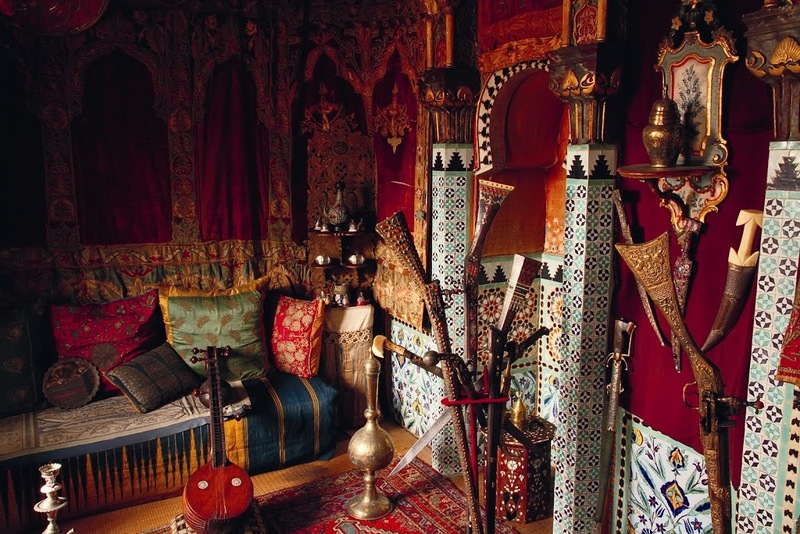 Over 200 colour photographs and illustrations of exuberant interiors, elaborately patterned fabrics and wallpapers, intricate decorative objects, and incredible costumes. I think this book will prove to be inspiring time and time again. In the interests of full disclosure I was sent a complimentary copy of this book by the publisher, Vendome Press. And while I’m thrilled to bits to be sent books for review, in all seriousness this is one I would definitely go out and buy. 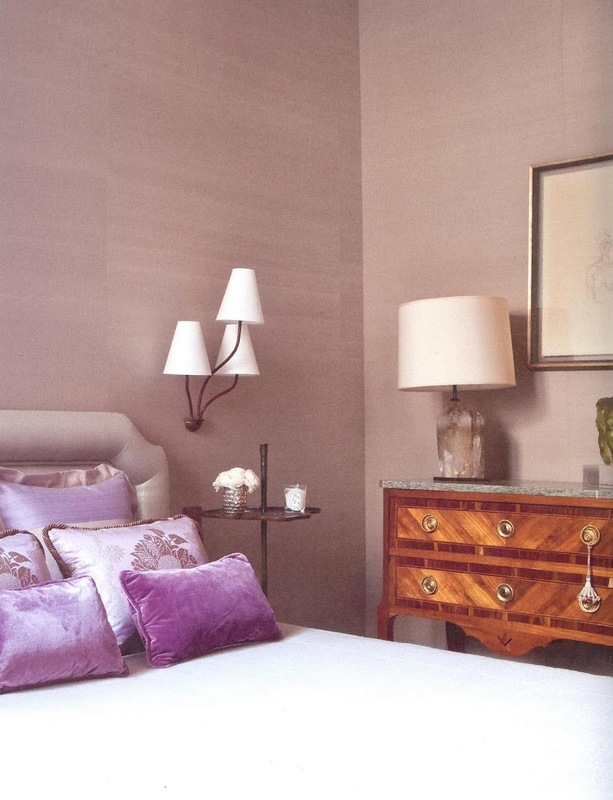 I remember seeing this image for the first time in Elle Decor back in November 2007. 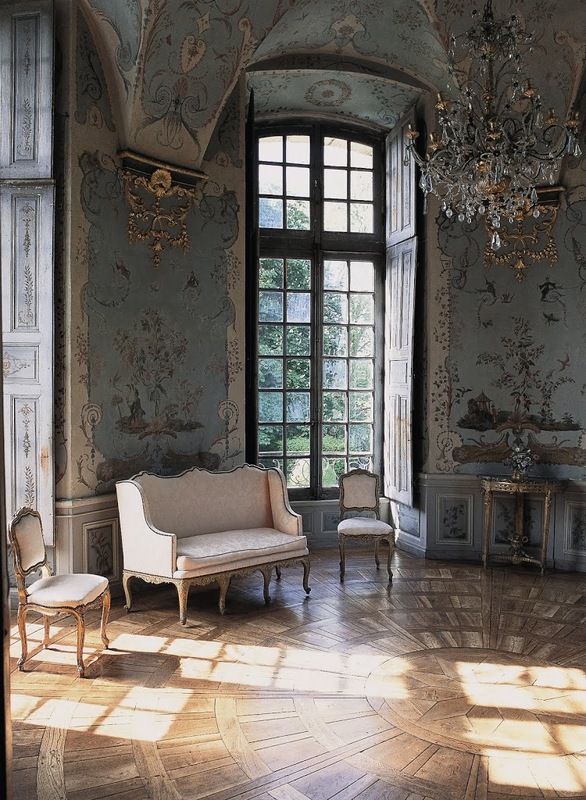 It took my breath away than, and it still does today. 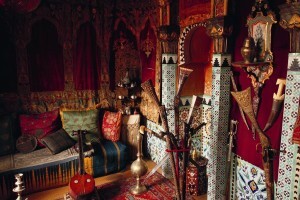 Its the art, the richness of the colours, those textured walls, and above all else the fascinating mix of furniture. 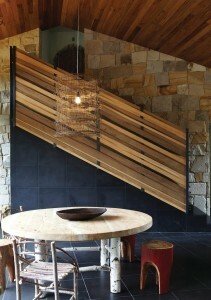 The lucky resident of this room is also the designer, Frank Roop, and I have since become a massive fan. Roop’s work has been widely published and I’ve been able to sate my appetite for the visual richness that he puts together so deftly. So, as you can imagine, I’m quite looking forward to getting his first book in my hot little hands. 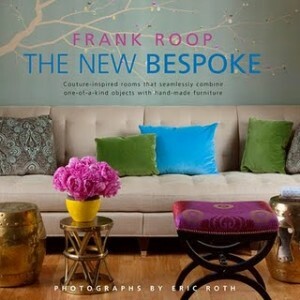 “Frank Roop – The New Bespoke”, will not be like any other design book we’ve read. 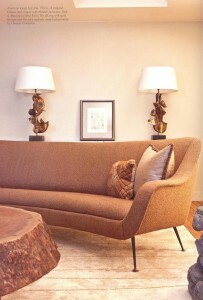 Of his first monograph, Roop says “I didn’t want it to be just a portfolio of my work, but a book with a story and a point of view.” In a push against today’s mass-produced world, Roop features and celebrates the cottage industry of local artisans who craft his custom furniture that have become such a signature element of his interiors. And with a nod to his past, in specialty menswear, the book features a variety of inspirations drawn from the worlds of art, archticture, fashion and nature. 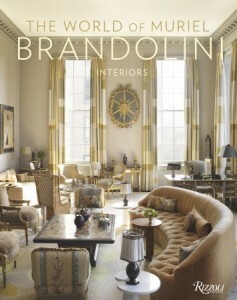 Another new book release I’m looking forward to…”The World of Muriel Brandolini“. 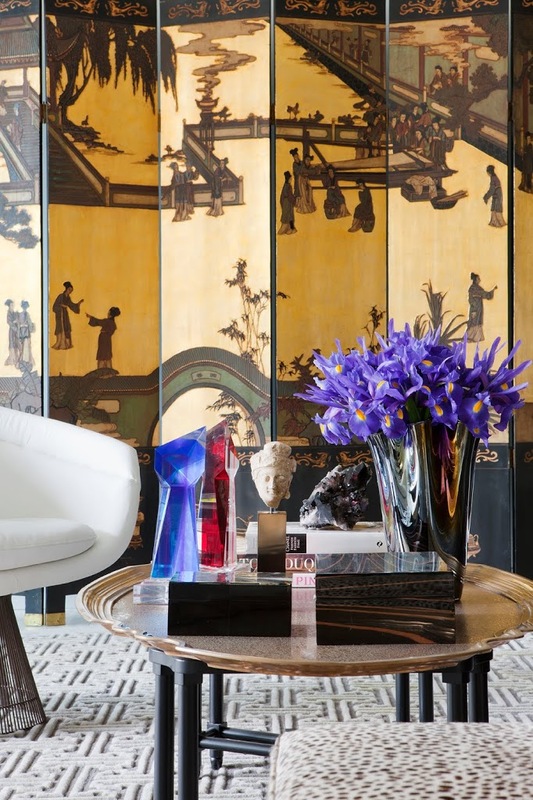 It’s hard to not be envious of Brandolini: an exotic family and upbringing; an Italian banker for a husband who also happens to be a Count; and a few fabulous family homes around the world. Credit where credit is due though, Brandolini is not just another wealthy house wife who suffers from delusions of being a designer. 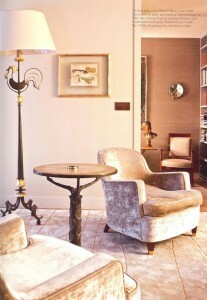 Brandolini is a one of a kind and has created some of the most refreshingly new and achingly stylish interiors. Ever. 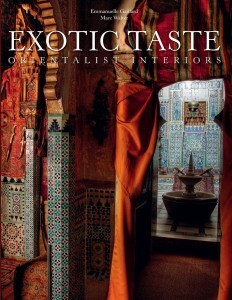 If the front cover is anything to go by, this book will be a treat. I can’t wait. I have long admired the work of NY based David Kleinberg…his style is modern and classic and utterly timeless. A previous employee of the venerable firm Parish-Hadley Associates he has been running his own company since 1997. 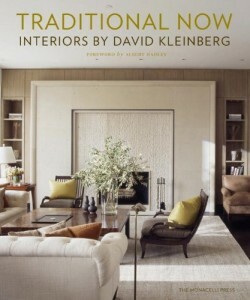 Kleinberg is responsible for some of my all-time favorite rooms and I can’t wait to see what is in his first book, “Traditional Now”. I just hope it doesn’t disappoint – or worse that its full of images already on his website. 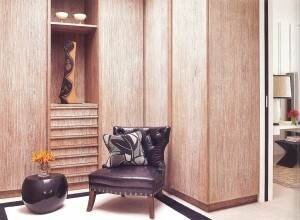 Another of my favorite designers is Peter Marino, a man of almost unmatched style. 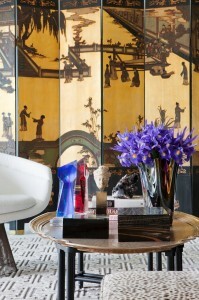 No great surprise then that he and his firm are behind the design for many of the high-end retail stores around the world, including those for Luis Vuitton. 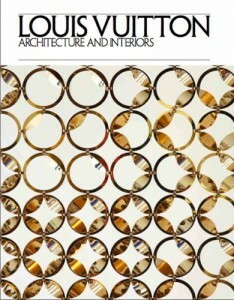 If its what I’m hoping it will be, this new book “Louis Vuitton, Architecture & Interiors” should prove to be a long term source of inspiration. 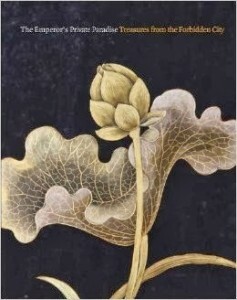 I’ve blogged about Maria Pergay before, and I already own a book on her work, the previous edition by Suzanne Demisch and Stephane Danant. As I’m not sure how much more this volume will contain I’m still pondering. But I suggest if you’re a fan of Pergay (and if you’re not, you should be!) 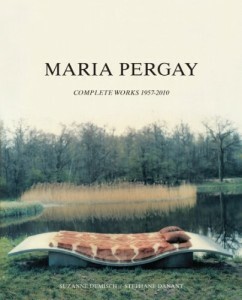 and you are interested in her work then this new volume “Maria Pergay: Complete works 1979 – 2010” would be the book to buy. 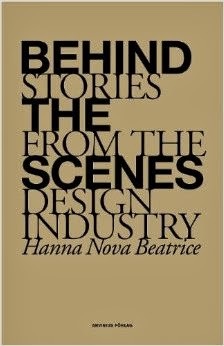 I’m very excited to announce the recent launch of the very first book by Hong Kong’s hottest designer, Andre Fu. 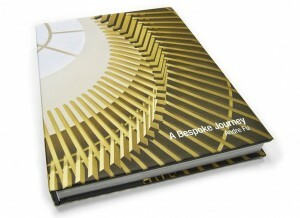 Entitled “A Bespoke Journey”, the coffee table book features some of Fu’s work with his firm, AFSO, over the last ten years. 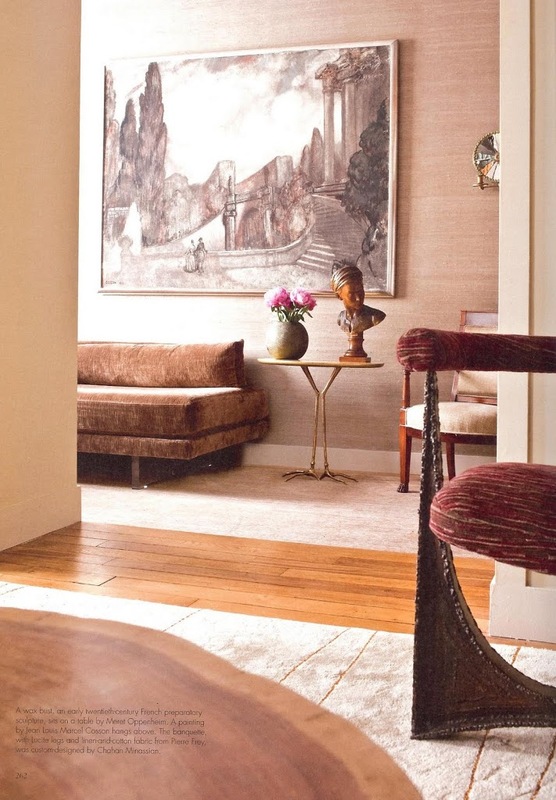 Including internationally acclaimed projects such as The Upper House hotel in Hong Kong, the Fullerton Bay Hotel in Singapore, his work with agnès b, and the countless stylish restaurants he’s done around the world, its sure to be a winner. 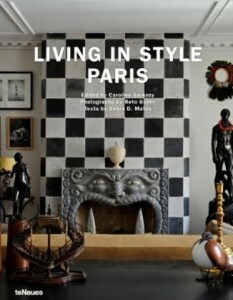 Living in Style Paris, edited by Caroline Sarkozy, and published by teNeues is an absolute feast for the eyes. 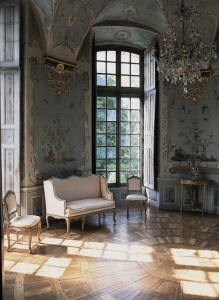 Anyone who even remotely likes French style will love this book. So many beautiful photographs of interiors and private residences of likes of Hervé van der Straeton, Diane von Furstenberg and Lenny Kravitz, designed by the masters of the trade: Francois Catroux, Pierre Passebon, Jacques Grange, Yves Gastou, Alberto Pinto, Collett-Zarzycki, David Mlinaric, Hubert Le Gall and more. 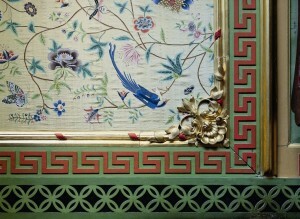 The book displays a wide range of decorating styles, all of which are stunningly beautiful. I will definitely go back to this one time and again, and cannot recommend it highly enough. I picked up a copy of “Anti-Object” by Japanese architect Kengo Kuma, published by the Architectural Association of London, at the Business of Design week late last year. Japan being the partner country of the year, Kuma was one of the headline speakers. If you couldn’t make it then don’t fret, his talk was based on this book, so pick up a copy if you can. The size and thickness of this “little” book is by no means representative of the amount of information inside. The first chapter alone is guaranteed to blow the cobwebs away as Kuma gets very philosophical and quotes Kant. If that’s not for you, but Kuma’s architecture is, then you will enjoy the subsequent chapters which give an in-depth insight into how Kuma approaches each project and his source of inspiration and concept development. 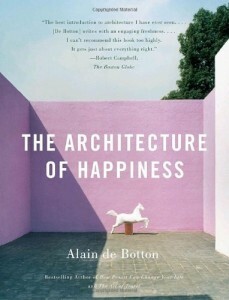 I enjoyed reading this book so much I am hoping to pick up a few more in this series, particularly “Super-Critical” by Rem Koolhaas and Peter Eisenman. 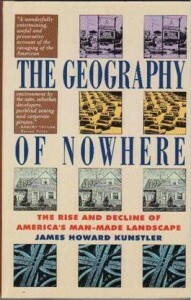 And last, but not least, is the “Geography of Nowhere” by James Howard Kunstler. I thoroughly enjoyed reading this as I’ve been on a bit of an Urban Design bent lately (perhaps its because of the city I’m living in). 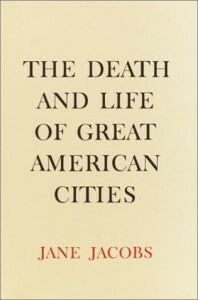 This book is a much needed self-critical examination of the way that 20th century cities were designed, and the way they will continue to be designed if we don’t all take a hard look at what’s wrong with them. Kunstler has written specifically about American cities (I guess because he is American and it was a subject close to his heart), however it is just as pertinent to all developed countries in the world. 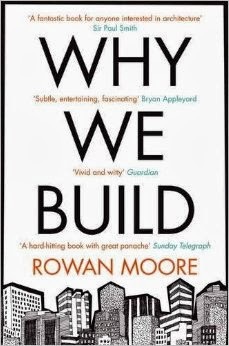 I won’t say anymore on this, but I think if you are interested in Urban design and planning then this will be a good read for you. So, what have you been reading, and do you have any recommendations for me?